With the biggest one being something quite fantastic. So let's get onto the first gift for everyone, going over the CSA Digivice tri. Memorial! 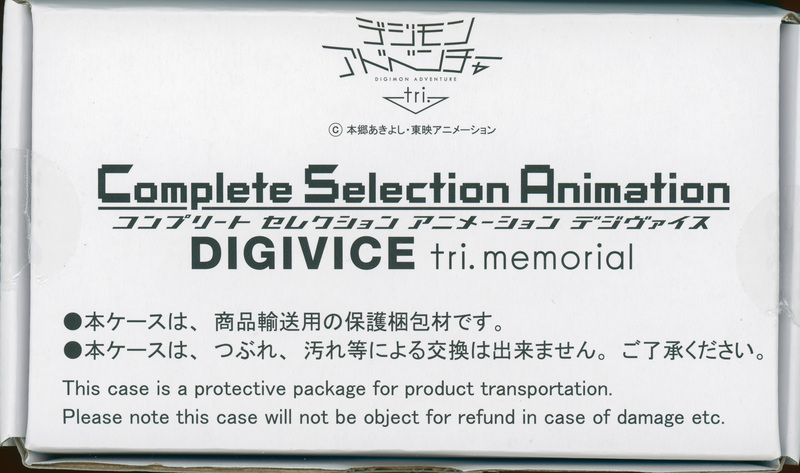 First up, Photos and scans for the Digivice tri. 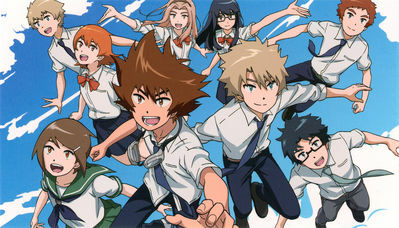 Memorial! This CSA Digivice is based on it's appearance towards the end of tri. 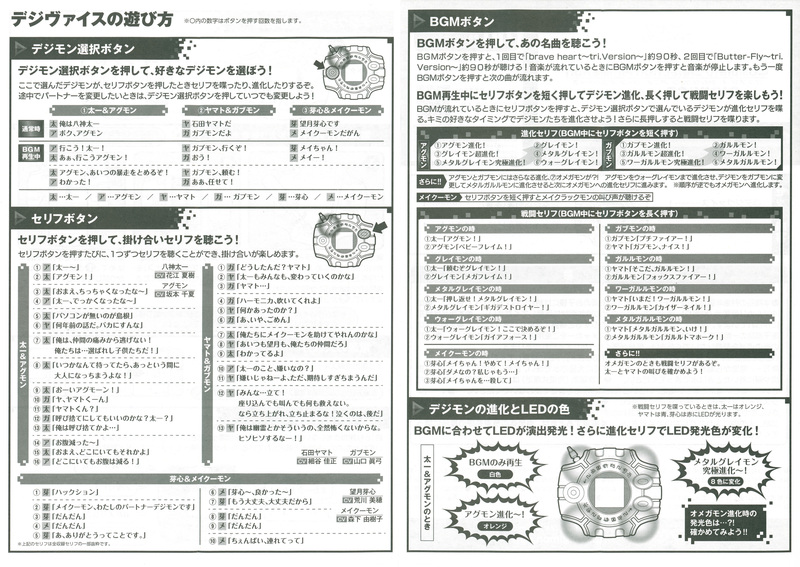 Part 6, with sound effects for Taichi and Agumon, Yamato and Gabumon, and Meiko and Meicoomon. 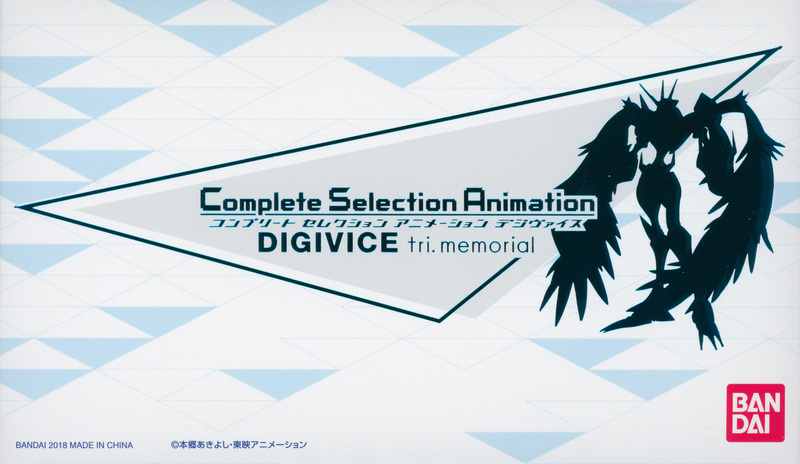 The Digivice tri. 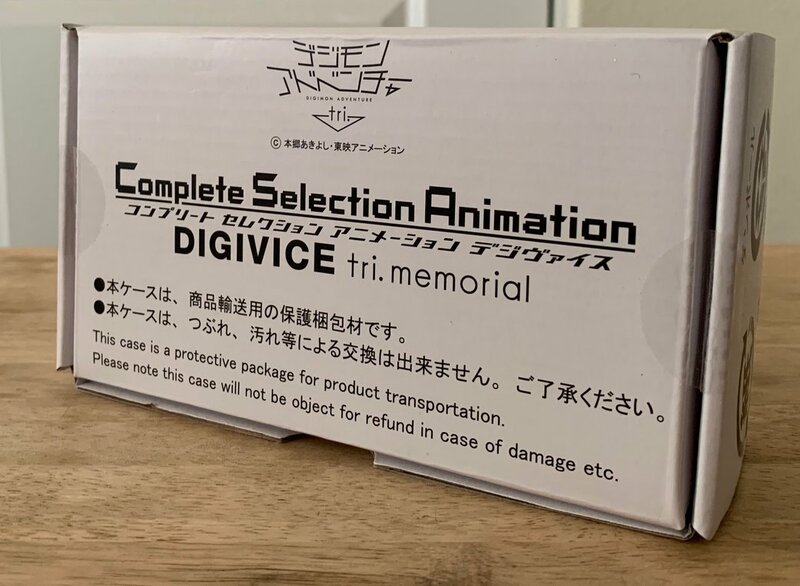 Memorial is shipped by Premium Bandai with an outer box as extra protection. This box is just for some extra protection, they don't worry about the printing being straight, or the box being pristine, and they even mention it not being part of the product on the box itself. 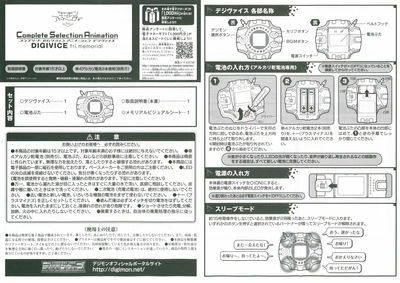 The proper box for the Digivice is contained within, and is actually wrapped in a tissue paper for extra protection. 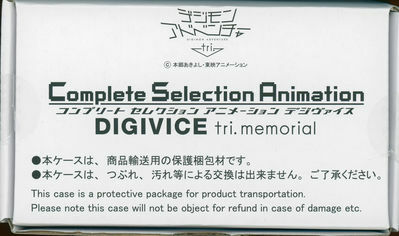 The box itself is a nice smooth white cardboard, along with a modified version of the tri. digital motif printed on a glossy material. 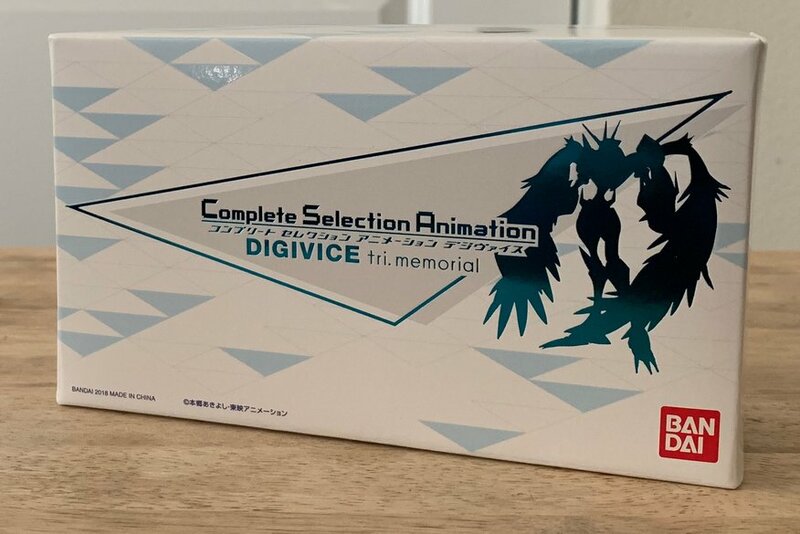 The high point of the box is the product logo and a silhouette of Omegamon Merciful Mode, printed on a blueish foil. This material doesn't scan that well, but the way light shines off it makes the color slightly shift. 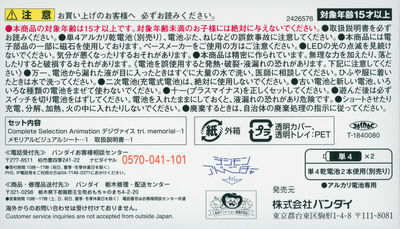 The bottom of the box has various information and details. 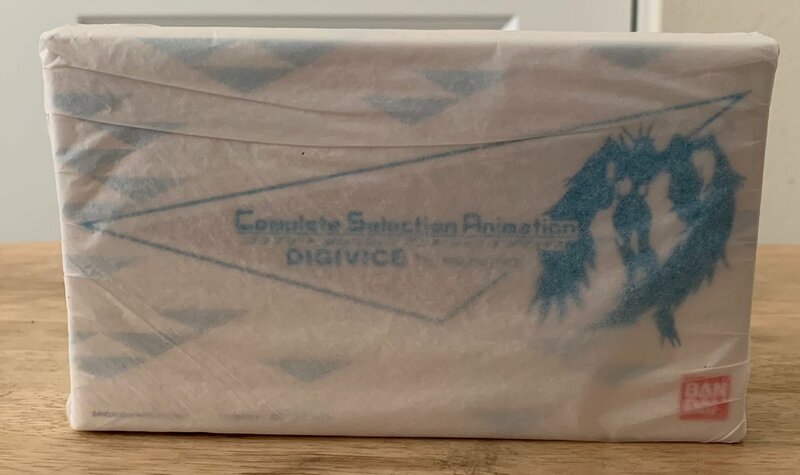 The front and back of the bottom part of the box includes silhouettes of each kid and Digimon, with the silhouettes being in their color. The other sides of the box just have the digital motif with no unique artwork or elements. 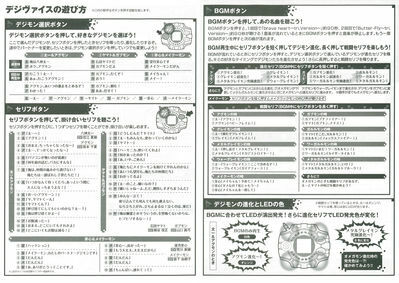 The front side of the manual shows the basic elements like the different buttons, how the put batteries in, etc. The back side explains how to use the Digivice and it's various audio elements. The Digivice itself looks quite nice. The mold is identical to the original CSA Digivice from a few years ago. It was borderline impossible to keep the screen clean when trying to scan it, but the overall design and look is quite impressive. 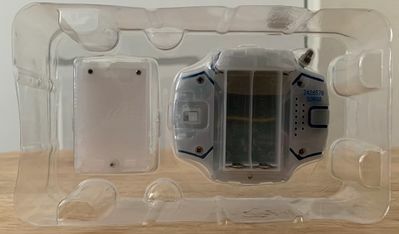 It's packaged very well in 2 parts inside of a plastic shell in the box. 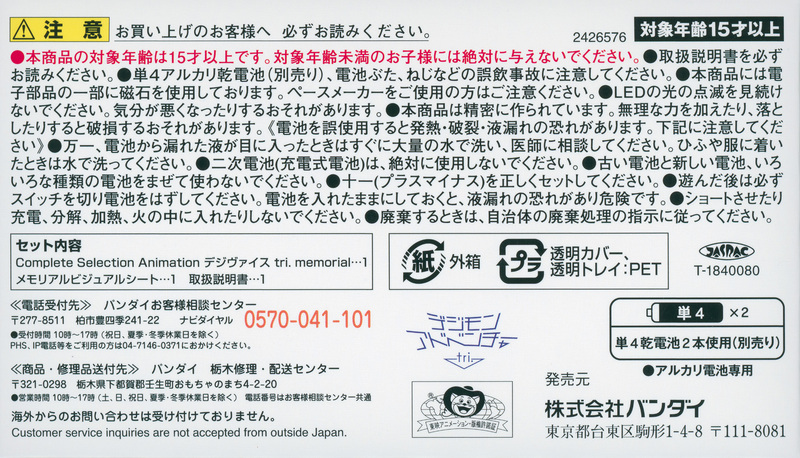 The last item included is an art card. I manually tweaked the colors on the scan a decent amount as the cardstock material used scanned with very mild and flat looking colors. 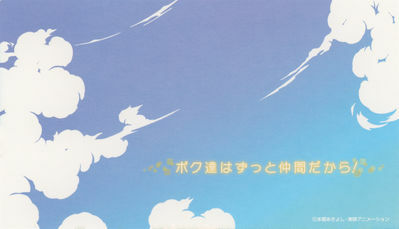 The back is a cloud shot with a message about always being friends. 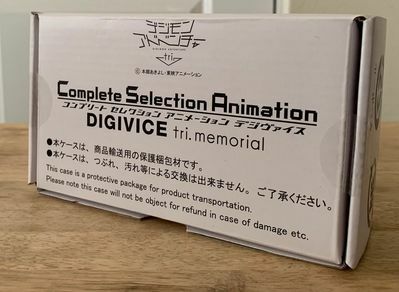 The CSA Digivice tri. 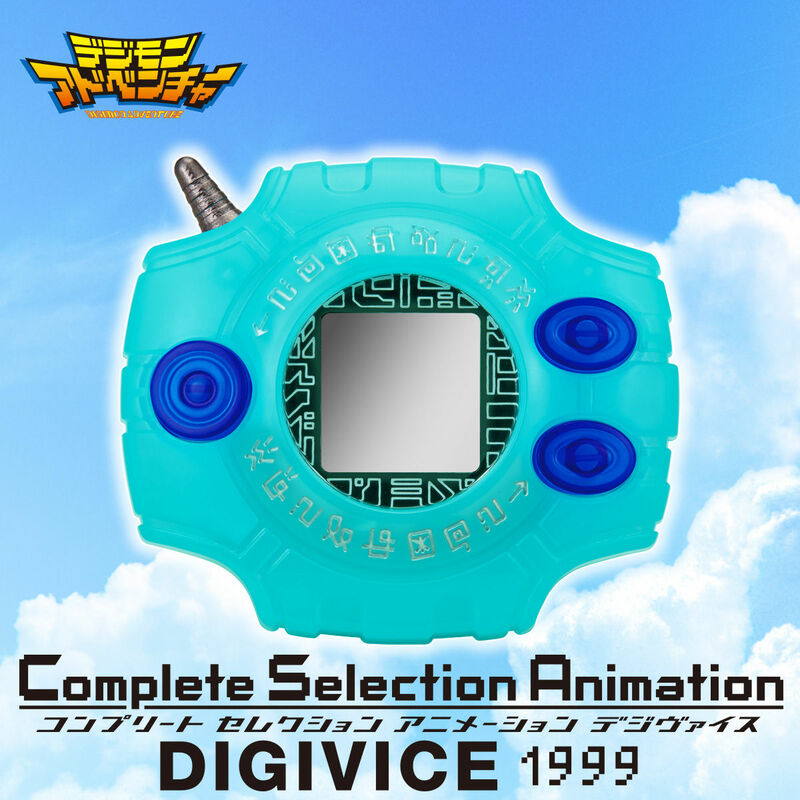 is a good follow up to the original CSA Digivice, using the unique color/look of the 'shining' Digivice from the finale of tri. 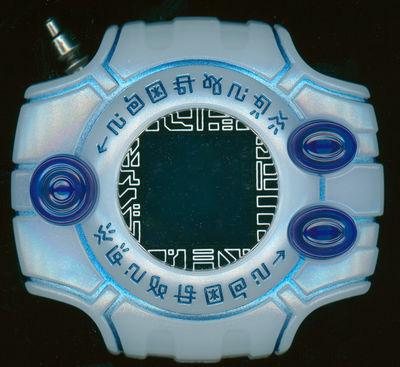 Sticking with just Taichi, Yamato, and Meiko was an interesting choice that makes some degree of sense based on their unique elements from Part 6, and connection to the shining elements of the Digivice itself. 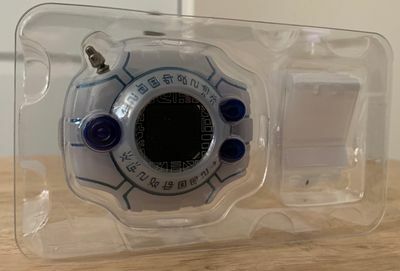 The next CSA Digivice already has it's pre-orders closed and will be the CSA Digivice 1999, based on the Digivice as it appeared in the original Digimon Adventure. Sweet! The Art for the CSA looks really nice and expressive. It's so pretty and I WANT IT.